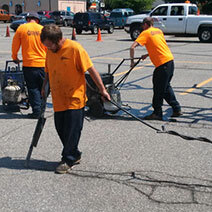 Infrared asphalt repair is a cost-effective way to repair the deteriorated asphalt in your parking lots. 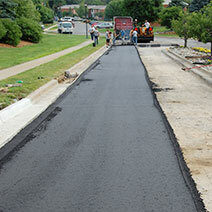 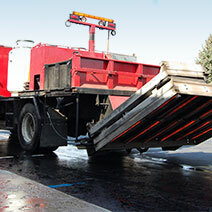 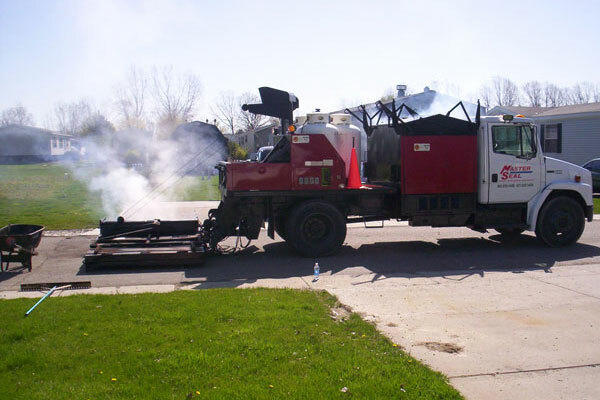 The existing asphalt is recycled by a crew of two or three trained craftsmen using a customized truck operation. 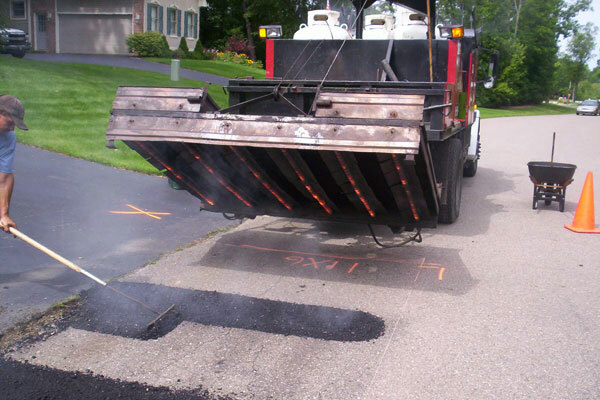 The result of this modern operation is that infrared repairs are less expensive than conventional repairs to potholes and alligator areas. 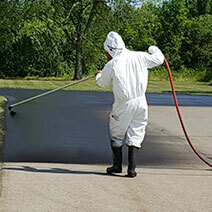 Infrared asphalt repair can be used for potholes, speed bump installation, handicap ramps, rough surfaces, paver seams, redirecting water, high spots, trench repair, and much more. 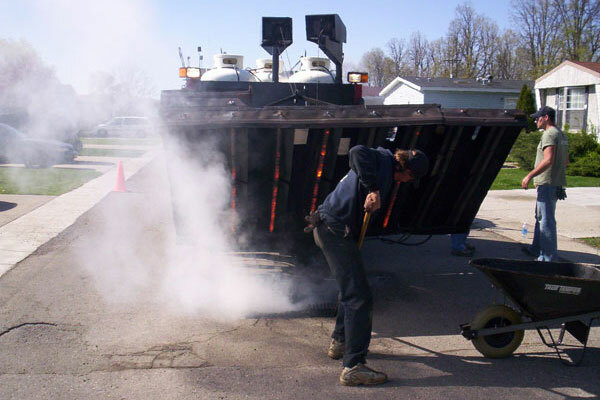 Both a high-quality solution and time efficient, infrared repair takes a small crew and is economical to many budgets. 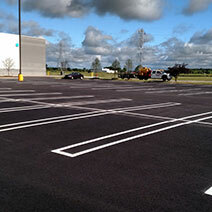 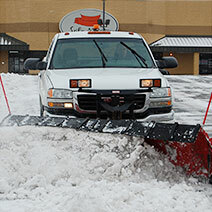 It can be used on a range of sizes and a variety of parking lot repairs, and the area can be used immediately after repairs. 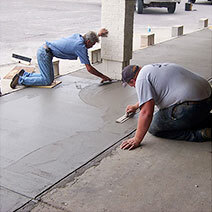 It will not, however, work for all parking lot problems such as sub-base issues. 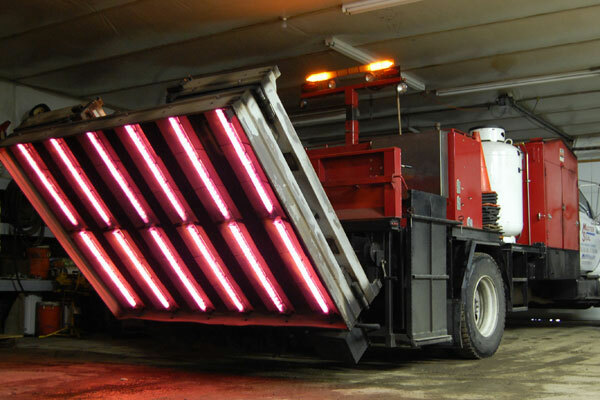 Think infrared repair might be the solution to your parking lot needs? 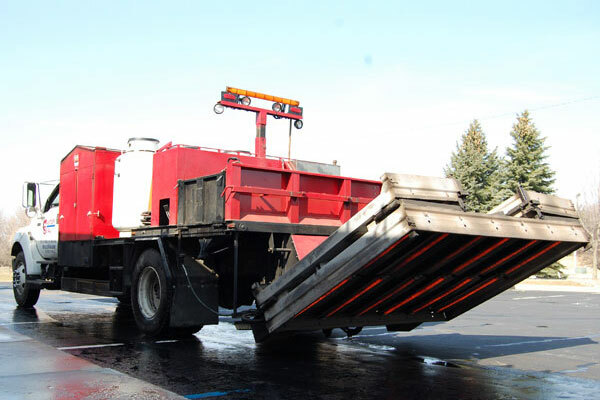 Give us a call at (810) 659-5400! 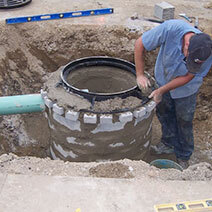 Our experts will visit the site and complete an evaluation of the best solution for your needs. 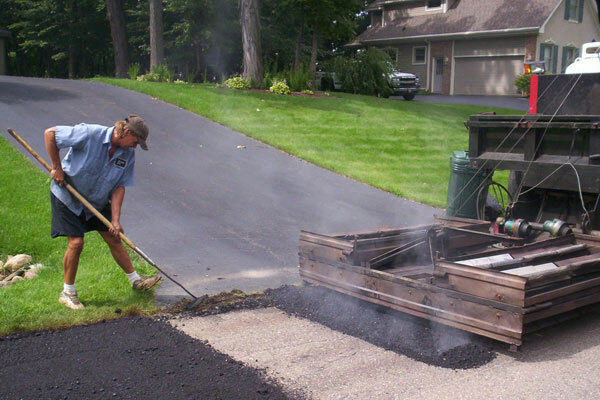 before and after photos, or learn more asphalt repairs.